Welcome to the Horus Heresy! So you've decided on Raven Guard. Victorous aut Mortis! 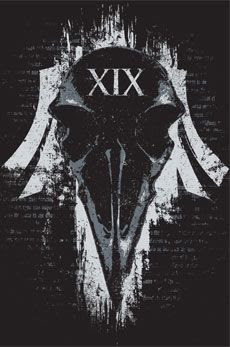 When starting a new Raven Guard force, you should start by deciding what you like about Raven Guard. Is it lightning claw jump pack marines? Is it the infiltration rules? Is it the drop pods? Is it the fluff? Is it Corax? No matter what it is, all lists start with troops. More importantly, compulsory troops. So let's first look at those. Tactical Squads: Tac squads tend to be the bread and butter of most legions troop selections. 10 tacs are teh cheapest compulsory troop option, and they have the option to add an additional 10 bodies for a meager 10 pts a marines. For Raven Guard, Tacs are especially efficient because you don't need to spend points on transports to get them on objectives. So you can run them as cheap 10 man objective camper, or you can invest in the squad, bumping up to a 20 man squad and start them on your opponents back porch. While this doesn't sound hugely powerful, if you play around with other legion rules, you will fine it's hugely expensive to get 20 models around in 30K. Assault Marines: First off, these guys are too expensive to be a competitive choice. They are supposedly going to get a point drop in the near future, but as it is, you better have a good reason to be running them or you are going to have trouble competing. All that said, I have had success with big units with melta bombs and hit and run in angel of wrath, when you attach a chaplain to make the unit fearlesss. While they are unlikely to make their point back, they can tie up a huge amount of units and really ruin a tread head list if you are lucky enough to run into one. Breachers: First off, I love the look of Breachers. They don't really scream Raven Guard, but they do offer the ability to run 4 graviton guns and infiltrate into range for first turn alpha strikes, especially with a vigilator. And while they are thrown into the bucket of "More Expensive Tac Marines", they are actually fairly efficient if you are trying to add an anti spartan unit to your list. Veterans: There are a couple ways to make Vets compulsory troops, which is great because they are hugely flexible in use. They can be built to be hth monsters, melta bomb tank hunters, mid range harassers, or more like modern 40k tac marines. Most Legions focus on the sniper rules and the uptick in fire power they can get out of it. Sniper is a clever way to deal with artillery and units like castellax, as they always wound on a 4+. I tend to like running them with fearless and melta bombs, making them a torn in my opponents side denying areas of the board to assault vehicles. I think of it as playing both side of the board, which opens up some advanced tactics. Terminators: A lot of Legions use termis as troops better than Raven Guard, but here is fluff around asiatic dust plain warrior from the original Raven Guard raised from Terran using termi shock troops. These were known as deliverers. These guys eventually became the Space Shark chapter. Cool, but there are also some interesting tactics base on the furious charge rule they get, which I will go over late in this article. Recon Squads: The Recon ROW, opens up recon squads as compulsory troops. So it's worth chatting about them as well. In actuality, they have infiltrate built into their cost twice for Raven Guard. If you can get over that fact, the ROW offers a big force multiplier and the recon marines are a very cheap source of melta bombs. So, in general, you are looking at infantry as your troops of varying rule sets. So if you are looking to not spend a ton of cash when you first start consider running infantry that can be used as multiple types of squads until you lock down what tactics you like. The battle of Calth Box is a good place to start, especially since they are MKIV armor. I also really like the anvil industry exo lords. They look VERY MKIV ish and mix well with forgeworld and Game Workshop. I use a mix of Calth box, anvil industry and forgeworld recon squads as my troop infantry. I also went through the extra step of magnetizing the weapons, which lets you use them as sniper recon, seekers, and support tacs squads. Forgeworld also chapter shoulder pads and decals which go a long way towards customizing your Legion. The Raven Guard rule set is a little schizophrenic in that you either get infiltrate or you get furious charge. Not both. So when you are choosing units, it will usually key off of one of these rules. Probably the road less traveled with Raven Guard, but furious charge adds +1 to Strength on the charge, which is nice but not game changing... However, if you take a forgelord you can take rad grenades that drop a units tooughness by 1. So in general Space Marines become T3. So if you take a power axe that gives you AP2 and +1 to strength, you are now obliterating the 2W terminators that many Legions use. Good Units for furious charge centric armies include termies, outriders bikers and jet bikes and dark fury. Infiltrate offers a great way to deliver units with out the cost of a transport. It also lets you out flank, deploy after your opponent and gets cheaper, powerful assault weapons in range. In general, you want units that can deal huge damage early and you want to try to go first. So ROWs like decapitating strike for the recon ROW are great, as are Maun or a democlese rhino. Graviton rapiers artillery are a great infiltrating units for spartan removal. Laser destroyers also can be useful and tank removal. Breachers can can also take grav guns which are good are killing heavy vehicles. Seekers are amazing, especially plasma combi seekers with their hitting on 2s with re rolls and wounding on 2s with re rolls. Large tac squads with a chaplain can be very useful at cracking light vehicles with their re rolling to hit krack grenades or can do very well against most other hth squads. They are also a great tar pit and objective holder. hvy weapons squads can start the game with side shots and perfect placement when they come in with infiltrate. Raven Guard also have the opportunity to go pod heavy with either the drop assault or decapitating strike. So many of the the units listed in the Infiltrate section are also great in drop pods. The large distinction being that podders are pretty safe if you get first turn but they also only get half their pods in first turn, so your alpha strike is like reduced first turn. Rapier grav cannons, breachers with grav guns, lightning fighters with kraken missiles, contmeptors in drop pods with grav guns. In general, there are a ton of ways to handle mass infantry in 30K either in hth or in shooting. Raven Guard are particularly good at this. Dark Fury are totally equipped to rip through infantry if they can get into hth. Usually getting them is the hardest part, but they can deep strike or can take a vigilator and run the Recon ROW to help them get across the board quickly and safely. Mor Deythan with combi flamers in infiltrating, scouting rhinos are one of the best auto unit erase button in the game. Few units can hit as hard and few units can survive one turn of rending twin linked flamers. The mighty Typhon. If you want to erase infantry and like big tanks this in one of the best ways. The 7" template ignore cover and kill basically all infantry outright. Plasma seekers or tacs are a great way to kill heavy infantry. We also have units like medusa that are especially good at clearing infantry, but they are not very Raven Guard IMO. Raven Guard are not very good character hunters when it comes to hth. They don't really have the rules or the wargear to go toe to toe with the big hth nasties of the game. Instead, I suggest killing them in hth. Mostly, I find that my seekers and more dyethan have enough fire power to rip through ICs before they even get into hth. I think the calth box is a great place to start, as you can try running small tac squad or you can try out the 20 tacs with a chaplain paired with a smaller 10 man objective camper unit. From them there I suggest you get 10 to 20 mor deythan and magnetize their hands. so you can try out different load outs of combi flamers, plasma or metla. In general, I have about 30 guys with magnetized hands that can be anything from seekers, to vets, to support tacs, to mor deythan. It not a bad way to go if you want to mix your stuff up and are on a budget. In general, I think all list need a spartan plan, which usually looks like a lightning, or 2 contemptors with pods with garv gusn in the fists, or 3 to 6 rapier grav cannons, or melta mor deythan, or 20 breachers or a melta bomb units. I think it's also nice to have 3 pods and 3 rhinos. As it gives some intersting deployment options. For characters I like chaplains, vigilators, Alverax Maun and a preator. A Preavian is great if you want stompy infiltrating robots. Finally, Raven Guard generally are pretty infantry heavy, but you can go tank or flier heavy. I like the anvilus drop pods and I also like fire raptors a lot. Lightnings also go well with the raptors as do storm eagles and dark wings. Thank you for this blog it is providing me with so many ideas. Keep up the good work. I would love to see some pictures of your army and some bat reps. Anyway I am just getting into 30k with RG and I have the BaC box set, a legion recon sniper squad, and a thunderhawk gunship. Obviously the Thunderhawk will just be used for massive games but here is my thoughts on how to field what I have so far based on your blogs advice. 5 X mor deythan with combi flamers in a rhino with a dozer blade. 5 X terminators with combi (meltas?) With 2 chain fists and 3 power axes. How do I utilise the terminators? Landraider/Darkwing/Deeps strike? Also the praetor in terminator armor; how would you field him to fit in to this army? -Maun but do I put him in a unit and move up mid field? Any thing you suggest? I am trying to aim for 2500 pts eventually. Thank you in advance Pete!